His topic will be “What do you see as your future vision of the College of Education and Health Professions?” A reception will follow the presentation. 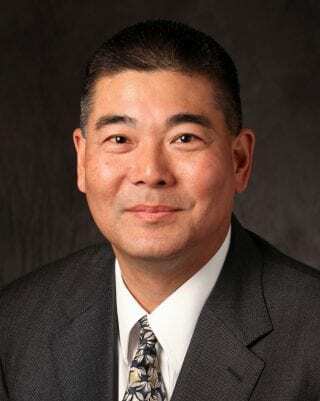 He earned his doctorate in secondary education from Arizona State University in 1990, his master’s degree in Curriculum and Instruction from the University of Hawaii in 1985, and his bachelor’s degree in electrical engineering from California State University at Fullerton in 1981. The selected candidate for dean will fill the Henry G. Hotz Endowed Dean’s Chair, which was funded by a $1.5 million gift from Palmer and Marie Hotz of Foster City, California, and a $2 million gift from the Walton Family Foundation. The chair was named in honor of Palmer and Hartman Hotz’s father, Henry G. Hotz, who served as the college’s fourth dean. The chair provides resources to further the dean’s contribution to teaching, research and public service.